Curation. Interpretation. Design. Marketing. Education. Evaluation. is the dedicated brand that identifies and distinguishes - within Qatar’s dynamic museum and arts sector - the annual exhibition that Master’s students in Museum and Gallery Practice, at UCL Qatar, develop as part of their programme. This MA provides students with the opportunity to acquire knowledge and professional skills in the field of museum theory and practice, with a focus on the Arab world. 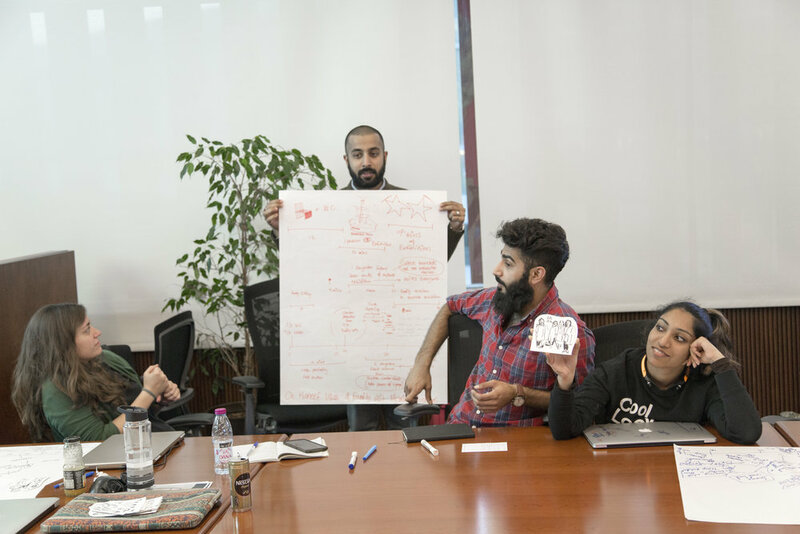 The graduate course prepares students to work in museums and galleries, and to actively contribute to the development and innovation of the sector, in Qatar and internationally. 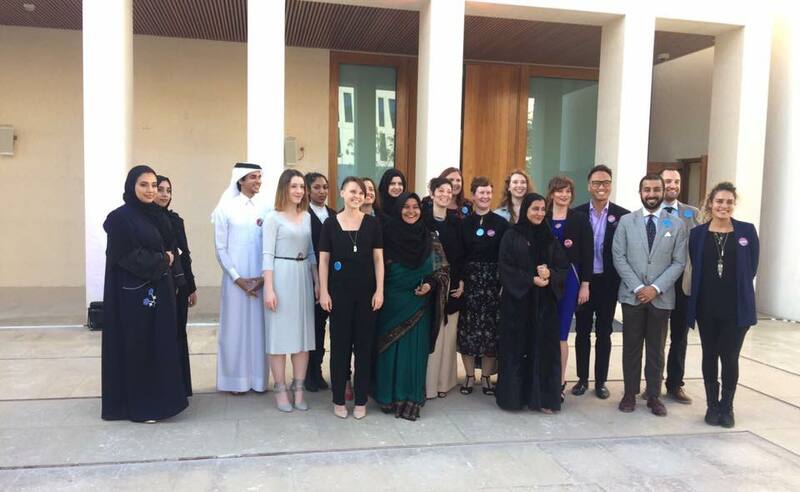 Since the programme’s establishment (academic year 2012-13), each year a new cohort of Museum and Gallery Practice MA students has curated, working in partnership with a museum or a gallery in Qatar, one or two, temporary, UCL Qurates exhibitions (lasting from two weeks to six months). For the first time, this year’s UCL Qurates exhibition has been created working collaboratively with Msheireb Museums and its resourceful staff. The exhibition is the final outcome of one of the core modules of the Master’s degree, the Exhibition Project. This two-semester module is formed by a mix of taught sessions and a complex but, uniquely formative, student-led project, which allows students to put into practice skills and learning outcomes from this and other modules. Students are expected to work as a team and in a professional manner, so as to develop and deliver a major practical project - an exhibition and its associated programming to a professional standard. They are assigned specific roles and divided into different sub-teams responsible for different, but complementary, aspects of the exhibition, including Curatorial, Interpretation, Marketing, Evaluation, Education/Outreach, and Design. Implementing best practices learnt on the programme, students devise the exhibition concept, select objects, develop the exhibition narrative and storyline, create suitable interpretation methods, design the space, develop and implement marketing, education and other strategies, and plan and deliver the launch event.